No everyday carry is complete without the perfect premium keychain accessory. The A3 Series Embrite Glow Fob is the aluminum version of our unique glow-in-the-dark (GITD) keychain fob, now manufactured with our proprietary Embrite glow pellet. EmBrite is the TEC Accessories proprietary glow technology, affording the brightest, longest lasting 'glow-in-the-dark’ effect available in a tiny, rugged Glow Fob. 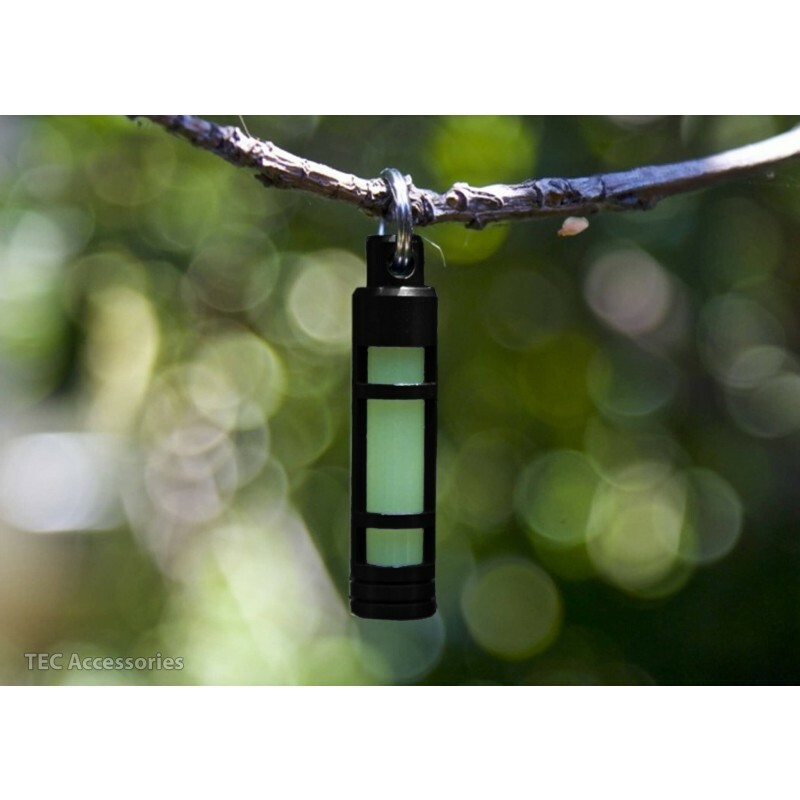 The A3 glow fob features a precision machined, highly protective, lightweight aluminum housing with a hard anodized finish in your choice of colors: CLEAR (natural), BLACK or GREEN. When exposed to sunlight or UV light, the proprietary Embrite pellet will glow for hours... the longer the exposure time and the higher the light intensity, the longer and brighter it will glow. Glow times can last as long as 12 hours! This cutting edge technology will outlast and outshine anything on the market. Your keys are essential to your everyday routine - make them stand out.